Legends of Astravia is a story-driven, puzzle-based RPG inspired by classic Super Nintendo games like Final Fantasy, Chrono Trigger, and the Legend of Zelda. This game is in active development and will continue to receive periodic updates. The demos are free, and will be throughout its development cycle, until it becomes approximately 50-75% complete. From there, demos will be available to project contributors, until the game eventually becomes complete! The plan is to have 30+ hours of gameplay and content! Another silent patch was applied to v2.3 to fix a bug with the ring menu in battle. Icons no longer desync if you move the wheel quickly. There was a bug in the most recent upload where Baldric's "Unleash" skill could be used nonstop without consequence. A silent patch was applied to the v2.3 download to fix this. The new 2.3b demo is now available. It's ~3 hours long and includes new graphics, gameplay improvements and more! Download it here. The new 2.2b update includes 1-2 hours of gameplay, a boatload of fixes, and a dungeon to explore. It's practically a new game! Join the official discord server! I'll be providing periodic updates and musings about the development process. You can directly talk to me about the game and provide feedback, get to know other contributors or fans of the project, or just hang out and chat! The game starts off in the small town of Mordin Village, bordered by forests and swamps on the western edge of Astravia. After being rescued by the local swordsman, Baldric, you find yourself at a loss for any of your past memories. Under the assumption you were a courier from the city of Valica to the east, you decide to prepare for your venture there, with hope that the familiar environment will help you regain your memory. The v2.3 Update is Now Available! 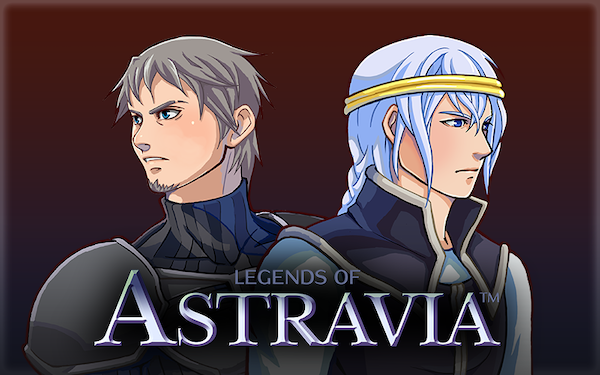 Legends of Astravia v2.3 Beta Now Available! This is another "dot" update that ended up making some pretty major changes! 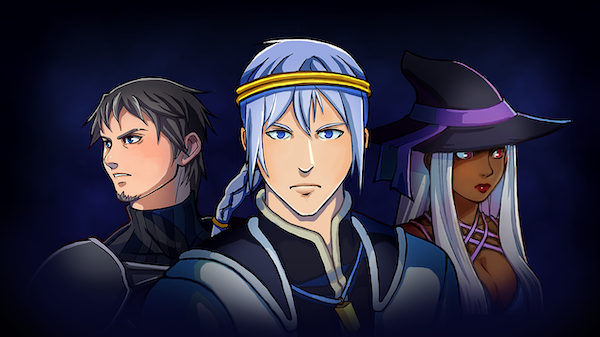 Besides the newly designed character portraits, a ton of quality of life improvements were made. The ATB settings are now more intuitive and less confusing--battle speed can be controlled separately from the Active vs Wait mode. With these changes, this is the last "improvement" demo and "dot" upgrade. The next demo will be v3.0, which will potentially include a major graphics overhaul and/or will include more game content. Be sure to follow us, either here or on Twitter, Facebook or Instagram to be up to date on these planned releases. Download the new version here! As always, all forms of feedback are appreciated. If you have any questions, concerns, or just want to chat and learn more about the developer and the community, join us on Discord! Looks good, can't wait to try out the demo. I'll let you know if I find any kind of bugs or spelling mistakes. So, this is finally on RMN as well, looking forward to what you manage to cook up Jaiden! short demo. 1 dungeon and 1 town. XP tileset mapping looks really good, was this XP or VXA? The beginning battles could be quite difficult if I didnt get the better sword, especially if I stumble into one of those 3 mushroom groups. In fact I died once to one of those. Where was teh escape option? Also big thing, defend is literally useless. It doesnt seem to decrease damage at all whatsoever. Anyway the demo is pretty good but there's a moderate heaping of cliches. I really like all the secrets and stuff, they can be easy to miss but dedicated secret hunters will get a good challenge. Pays off too, the better sword in particular is EXTREMELY useful. Thanks for the feedback! Yes, demo is quite short right now, the game is still heavily in progress, so I can't wait to release more. I have received feedback that those battles are too tough. The troop of 3 is definitely not supposed to be there, so I'm going to fix this next update for sure. The escape option was touched upon in the battle tutorial, but I think I need to make it more clear to the player. Well, dang, defend is indeed useless. Thank you for pointing this out, that's definitely a bug that will be addressed next update as well. I'm glad you liked the mapping and the secrets. This is a sort of weird XP/VXA hybrid, but the mapping is all done in XP. The battles were fast-paced and fun (though I did quite a few times with the shrooms >.< ). Will be looking forward to trying the update, the game is fun, but find the earlier demo too short.